Try out an American Camellia Society membership with the New Introductory One-Year Electronic Membership Rate of $10. 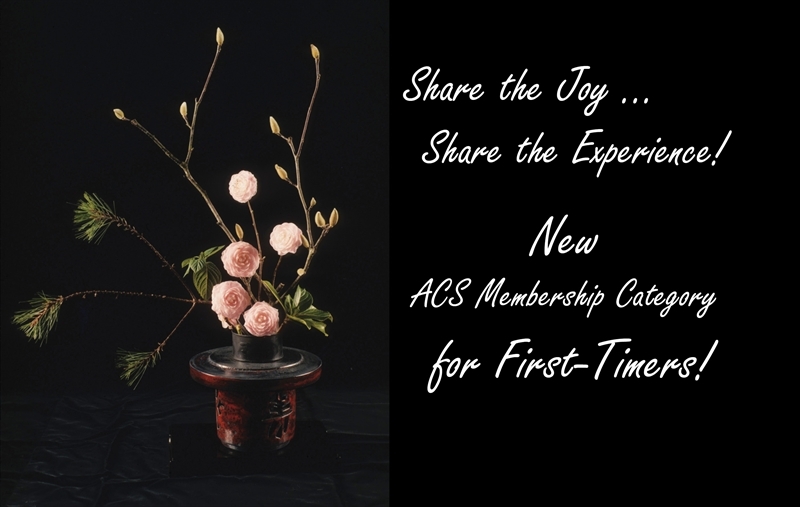 Please urge any of your club members (and friends and neighbors) who have never been an American Camellia Society member to learn about the New Introductory One-Year Electronic Membership Rate of $10. To receive a ten percent discount on ACS Gift Shop purchases (including the online gift shop). Please call (877-422-6355) or email Lorie Huff, Membership Coordinator, with questions or for more information.